A house dust mite allergy can present the exact same symptoms in a sufferer to hay fever, including a runny nose, itchy eyes, breathlessness, congestion and headaches. And where do house dust mite love to live? In your carpets. Professional carpet cleaning is a great way to blitz the mites and start afresh and with a clear head after a sniffly summer. Unlike a normal vacuum, a professional cleaner will rid the floor coverings of the dust, the mites and – crucially – their eggs. 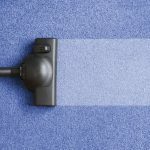 Regular vacuuming, according to a recent article in the Global Dispatch, can make the symptoms of a house dust mite allergy worse, as the process can stir up dust mites in the air, taking them hours to settle. A professional carpet cleaner in Liverpool or elsewhere will catch many more mites than a domestic vacuum. 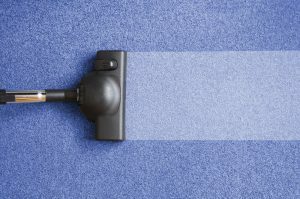 House dust mites love carpets, upholstery and bedding, especially when the house is warm and humid, so it is recommended that in an effort to make a home house dust mite-free, the beds are aired regularly and the windows are opened to let in a through breeze. According to the American Academy of Allergy Asthma and Immunology, house dust mites cannot thrive when humidity levels are below 50 per cent as their feeding rates and allergen production is directly influenced by relative humidity. So kick a mite allergy into the dust for good by bringing in professional carpet cleaner to banish the beasties so they won’t come back. This entry was posted in Advice and tagged professional carpet cleaner in Liverpool. Bookmark the permalink. ← Are There Spots In your House You Miss With The Cleaning?